Home renovations and repairs invariably require breaking through stubborn concrete floors. The hard nature of concrete puts off DIY enthusiasts from attempting to break concrete themselves. However, with the right tools,this task is not as difficult as you may think. Make an estimate: Assess the task on hand, to pace the work and also to ensure the proper disposal of debris. Position the jackhammer: Take the concrete breaking hammer and grasp it firmly using both hands, positioning it 6 to 12 inches away from the edge of the concrete. Hold the jackhammer vertically. Make sure to face away from windows or anything else that may be damaged by flying debris. Apply the jackhammer: Press the trigger of the jackhammer and drive it straight down into the concrete, 2 or 3 inches, and back up the same way. If the drill does not produce a crack, stop and try at another nearby spot. Apply again: Move away to another position and repeat the process, ensuring that cracks form in a way that the debris becomes manageable chunks: neither too large nor too small. Use the pry bar: Use the pry bar on the cracks created by the jackhammer, to remove large swathes of concrete in one go. Cart away the debris: Cart away the debris to its designated location in a wheelbarrow. For large jobs, a heavy-duty wheelbarrow is appropriate. Caution: Although a concrete breaking hammer makes the task easy, it still involves some hazards. It would therefore be wise to use safety gear, including: gloves, ear protection, eye protection and steel-toed shoes. 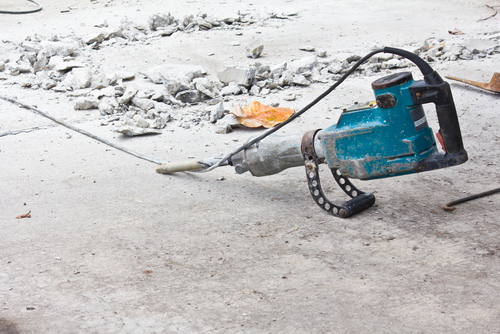 The jackhammer is considered to be one of the most widespread, robust tools utilized in removing concrete floors and patios. Jackhammer types and bits should be carefully selected according to the task and application. Talk to an expert at Runyon Equipment Rental to provide advice on your project. In many construction and contractor environments, certain applications create offensive odors or emit unhealthy chemicals into the air. However, there is actually a handy machine that works to eliminate foul stenches and unsafe emissions. An ozone generator does just that – it converts odors into non-odorous substances naturally, without using unhealthy chemicals. In addition, an ozone machine deactivates and destroys mold, bacteria, viruses, fungus and mildew. Using such a device may seem like a no-brainer, when in reality its full capabilities may not be realized. Why Use an Ozone Generator? In the case of contractors and homeowners, the ozone generator has many advantages. 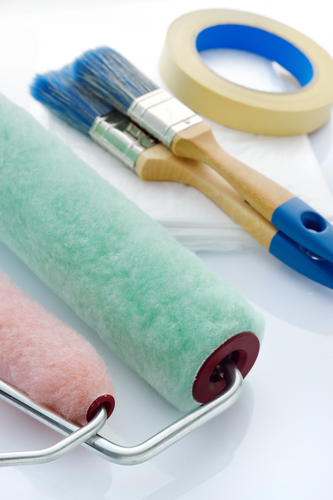 For example, painters can remove offensive paint odors more quickly, meaning customers will not complain. Additionally, carpet installers are able to get rid of smelly and unhealthy Volatile Organic Compounds put off by new carpeting. From a homeowner perspective, ozone generators keep a home fresh and clean smelling, as well as healthier. The machine also kills mold, mildew, spores, germs, etc. which purifies the environment for allergy sufferers. Before taking on your next renovation or construction project, hitting the job site or going into this allergy-prone fall season, consider buying or renting an ozone generator. Worker safety and a safe home are important considerations – health factors always are. And keep in mind, an ozone machine works more efficiently and on an advanced level in comparison to a standard air purifier or dehumidifier, because it not only prevents harmful substances from flourishing, but it also eliminates strong stenches. 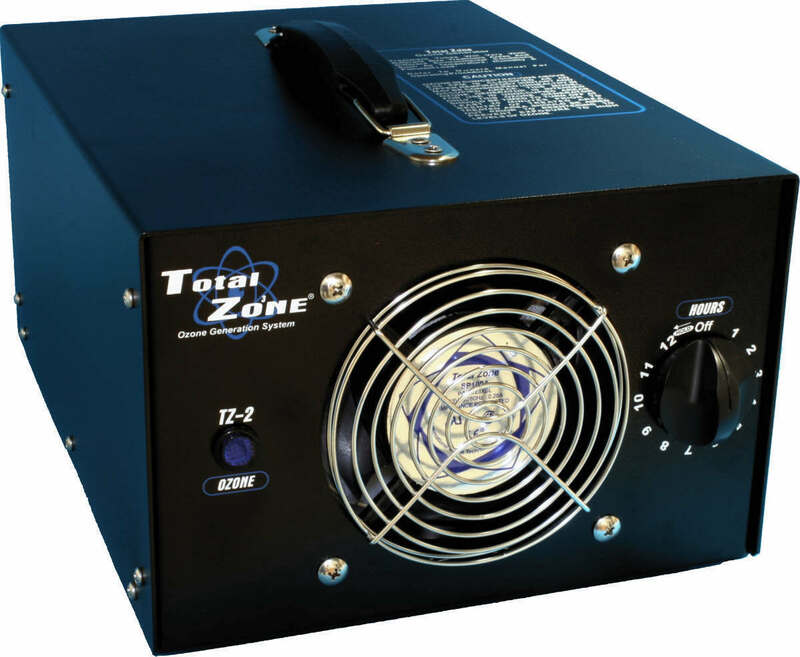 The Total Zone System naturally removes odors and effectively purifies the air with activated oxygen. To learn more about this product, please visit the product page here. A walkway or entrance lined with neatly pruned shrubs or bushes is a welcoming sight. But how many of us allow the shrubs to grow wild, because trimming is a bit of a chore? Well, we shouldn’t anymore, because hedge trimmers are now easily available for the job and are one of the most efficient gardening tools. Cost effective: Manual or electric hedge trimmers are a cost-effective option. Inconvenient: It can be a cumbersome task to manually trim out an entire space with these heavy clippers. With an electric hedge trimmer you are always worrying about cutting the electric cord. Gas-powered hedge trimmers are a great alternative, especially for a larger farm or garden. It is one of the most powerful models of hedge trimmers, and can function smoothly for long hours. A gas hedge trimmer is a top pick for professionals and homeowners alike. Suitable for large gardens: While it may not be very easy on the pocket, especially for casual gardeners, a gas hedge trimmer is definitely an investment for those with regular, large gardening work. Saves time: Gas trimmers cut through the shrubs in half the time as other trimmers, and are also easily portable. Adjustable trimmer: Some models of gas hedge trimmers come with a rotating blade, which gives users the flexibility to adjust the trimmer to get the best results. 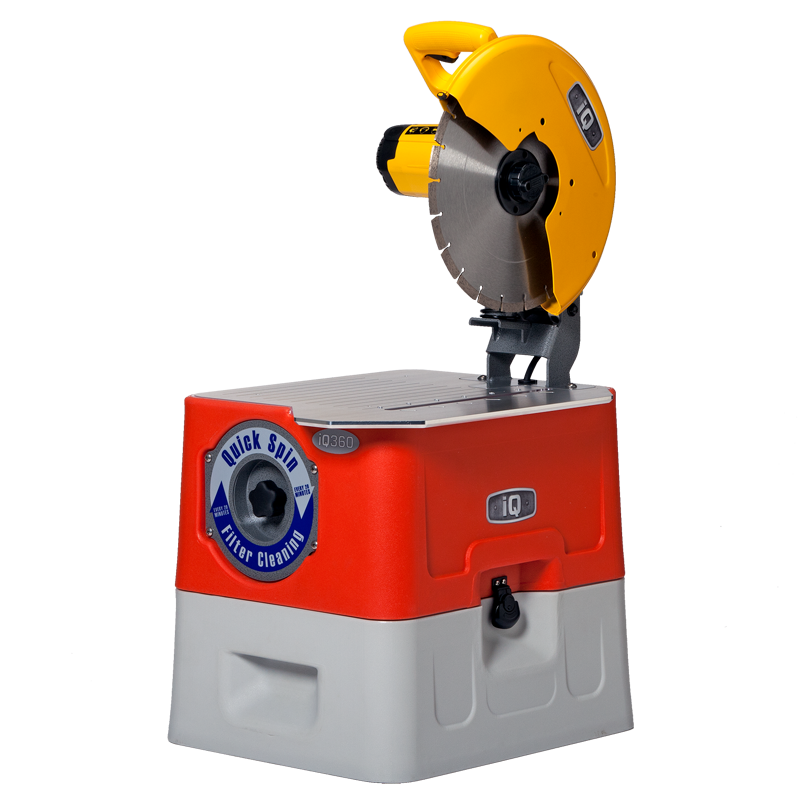 The blade can be adjusted to trim the tops or to snip out the areas very close to a wall or fence. Every gardener is different, and so is his farm or garden. Thus, one has to be sure of requirements while selecting a hedge trimmer and its accessories. 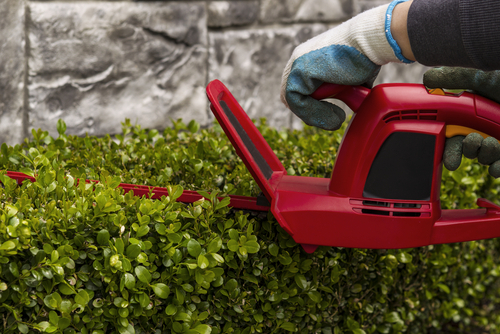 Pick the blades and accessories wisely: Pick the size of the blade depending on the size of the hedges. For small shrubs, a blade of around 13-inch length should be ideal, while for taller hedges opt for at least a 30-inch blade. Design: The design of the handle is a crucial factor, as it dictates the ease with which the trimmer can be used. Try different options and pick what is most comfortable for your use. Add-ons: Check for the add-ons available with each model, and invest smartly. Buying the right trimmer is important, but equally important is to ensure the trimming is done at the right time. Time of pruning: The pruning time varies depending on the type of shrubs in the garden. When the shrub changes color from dark green to light green, it is the right time to start pruning in the case of slow growing shrubs. Fast-growing hedges: In the case of fast growing hedges, wait till after spring and fresh growth sets in. But make sure you do not cut into the interior branches as these can take a long time to grow, making it look unattractive. Second round of pruning: A second round of pruning can be done by late July. This allows the shrubs to grow, mature and harden before winter sets in. Slope pattern: Go for a slope pattern while trimming so that the base remains broader than the top. This allows sunlight to seep into the lowest branches too, keeping the shrub healthy from the root. Gardeners, be it professionals or home-gardeners, understand a gas-powered hedge trimmer allows you to complete your work in half the time, and with double the efficiency. It is a value for money option, particularly for large farms with larger hedges. Tile floors may be dirt-resistant and seem impervious to deterioration, but they do require deep cleaning by scrubbing, over and above the regular sweeping and vacuuming, to keep them pristine and stain-free. Clean the floor: Steam clean the tiles using a floor scrubber with either a nylon or brass brush, depending on the durability of the tile. Connect the steam hose, nozzle and extension tubes as per instructions, fill the reservoir with water, and turn it on. The dual counter rotating brushes facilitate variable cleaning pressure. Cover the floor section by section. Steam cleaning may not be sufficient to eradicate stains or remove grout, the two major pains of tile floors, especially where there is a lot of traffic on the floor. Remove stains: The manual method of removing stains is to prepare a 50:50 mixture of scouring powder and warm water, rubbing the paste atop the stain, scrubbing it in after five to ten minutes, and then washing it away with warm water. Here, simply run the scrubber over the solution rather than manually wash it away. Oxygen bleach treatment: To remove tougher stains repeat the process, but with a 75:25 mixture of oxygen bleach and water, instead of scouring powder and water. Hydrogen peroxide and soda ash comprise oxygen bleach. The oxygen ions in the bleach attach to stain molecules and break them down into small pieces, making it easy to wipe clean. Chlorine bleach treatment: For even tougher stains, replace oxygen bleach with chlorine bleach. Clean the grout: Use a walk-behind grout hog to clean grout. The rotating brush of the grout hog cleans the dirt from the grout lines and also performs an additional level of cleaning on the tile surface. Tile floor scrubbing machines and grout hog make cleaning tiled floors very easy and effortless. The real secret to a great-looking tile floor is clean grout. Grout is porous and absorbs grease and other stains. An auto floor scrubber is one of the quickest and most efficient tools for cleaning a hard floor surface. It takes much less effort than going over the floor with a mop and bucket. Instead of moving the dirt around like a mop, an auto floor scrubber cleans and lifts the dirt off the floor, leaving the floor cleaner. The best way to get your floor cleaner faster is to use an auto floor scrubber. A 20” auto floor scrubber can clean up to 23,000 square feet per hour. Fully charge the floor scrubber – Most auto floor scrubbers will run between 2 ½ to 4 hours on a full charge. While that may sound like a short time, if you prepare the area to be cleaned, you should be able to clean between 50,000 to 70,000 sq. ft. with a single charge. It may take 6 to 8 hours to fully charge again for the next usage. Connect all hoses – Also make sure that all of the hoses are connected to the device, as is the squeegee. Check for leaks/damages – Get any leaks/damages repaired before you use your floor scrubber. Follow instructions – Every floor scrubber model comes with a set of instructions on the right amount of chemical to be used. A neutral cleaning solution should be used on finished (waxed) floors and marble floors. 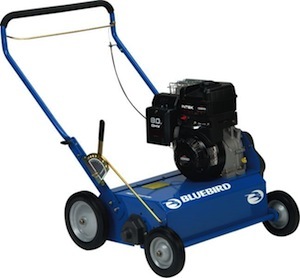 A heavy-duty de-greaser can be used in industrial plants and warehouses with concrete floors. Fill the tank – Fill in the solution tank with some clean water. Using pad/brush – Choose the correct pad or brush that will suit your floor and mount this on the bottom portion of the deck. You would want to use a less aggressive pad, such as a white or red pad on high gloss floors, which would include finished (waxed) floors and marble floors. An aggressive pad such as a brown or black would be used on concrete floors. 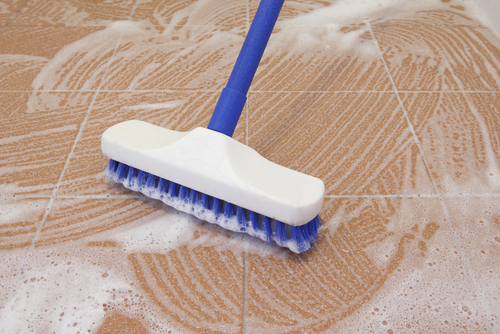 By rule of thumb, pads are for smooth surfaces and brushes for rougher, uneven floors with grout lines to clean. Prep your work area: Put up the caution board applicable to alert those around. Take away any obstructions such as furniture that can come in the way of a thorough job. Dust the area: Dust mop the area to get rid of any debris. If anything does remain on the floor you run a chance of ruining your machine. Trash can get trapped under the squeegee and leave water streaks. Start cleaning from the outer radius: Begin using the machine close to the wall, or the outer boundary of the space you are cleaning. Each pass you make should be a sweeping turn with a wide radius. This allows the squeegee to pull up all the solution that was laid out. Clean the room in halves: Work the room by dividing it in half, instead of going straight from one boundary to the other. Working in divisions allows you to make optimum use of your time. Repeat the process for grubby floors: If at this point you feel the floors could do with another round of scrubbing, especially since some floors can be extremely grubby, and then follow the same process by dividing the floor into portions, from one boundary to the next. Use a mop for inaccessible spots: If there are spots that you cannot reach, then you will have to get to it with a mop and a bucket. 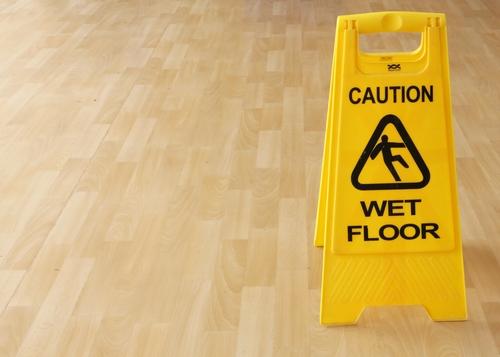 Arrange the room once dry: Make sure that the floor is dry before you get to remove the “wet floor” signs all over. Once done, gradually move back all the objects that you moved out of the way. Once you are done with the process you need to take the auto scrubber to a floor drain or slop sink. In most cases a floor auto scrubber will have a dump hose that you can empty out. This is especially important if you have just recovered caustic or stripping agents. While the drain hose is open and draining, take a water hose and hose out the inside of the recovery tank until clean water is coming out the drain hose. Commercial auto floor scrubbers and the supplies that go with them can be found here.